My favorite band ever since high school has always been the Newsboys. Familiar with them? If not, they are an amazing Christian rock band - and trust me, they really rock! The band itself has gone through some changes, but their music remains phenomenal. Now, based on the title of this post, you may be scratching your head, wondering what a band has to do with coaching. Yes, as a band, they have helped to change the world with their music and their examples, but the real heart of it comes down to a song on their latest album. 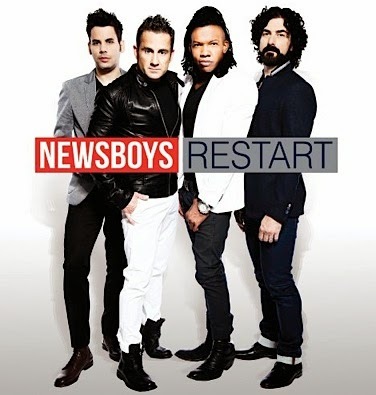 The album is titled Restart, and honestly, the whole thing is worth a listen. Specifically, though, let's look at the song titled "That's How You Change the World" and really dissect it. Because, really, it's the best definition of coaching I have ever heard. Ever since I was a little girl, I have felt like there were big things out there for me. I was bright, I had a knack for complexity, and everyone always told me that I would go far. No one questioned my ambition because they all believed as I did - that I had what it took to take the world by storm. I took my abilities for granted. I never had to work for them. Instead, I simply passed by the habits, the consistent little tasks that would only make me more effectual. It was easier to simply believe I was good enough than to actually *be* good enough. Does that make sense? Coaches work to fight obesity and heart disease and other illnesses that come from being overweight or eating poorly. But that's not all we do. We also fight to bring hope. Hope for a better life, hope for change, hope that someone out there cares. We bring freedom. Freedom from debt, freedom from a life of reliance, freedom that allows us to help others. As coaches, we do not make empty promises. I will not tell you there is a golden ticket on the other side of some fictional rainbow. But I will tell you that your dreams are possible. I will tell you that you can make it. And I will tell you that there's something out there within your reach. And this right here is the meat of it. It's not the big things; it's not the brilliant minds, the fancy speeches, or the grand gestures. It's the day-to-day: the habits that no one else sees. It's a pure and honest heart that knows what needs to be done and then goes and does it. It's the eyes that see the simple needs and the spirit that meets those needs. It's an attitude of service and responsibility. And, yes, that's how you change the world! I love this verse simply because when you think about it, water is a molecule made of up of three atoms. ATOMS! And yet water can be the most terrifying, dangerous force in the universe. It can give life, and it can take it away. Think about it. One molecule joins with another and then another and then another... and becomes unstoppable. When we work together - when we join together - as coaches we are unstoppable. There is nothing we can't accomplish. Together we will change the world. Will you do it? Will you join me? Will you help me change the world? It doesn't take much, just a willing heart and a drive to help others. I still feel like there are big things out there. Do you? Have you always felt like you were meant for greatness? Then message me. I would love to talk to you!